The suffocating villain charm of actor Lee Tae Sung has become the focus of attention recently. He holds tightly to momentum for the title of “highest peak of villain” in 2012. Lee Tae Sung is playing the role of Yong Tae Mu in SBS Wednesday and Thursday drama series “Rooftop Prince“. Because of the label of child born out of wedlock, although he works harder than anyone else, but always has to become second in his whole life. No matter how he struggles, there is difference from Yong Tae Yong. The true color of villain made audience has insane emotions on the role. On the other hand, the mature portrayal “mental collapse Tae Mu” by Lee Tae Sung made audience couldn’t be annoyed, becoming the unprecedented well-loved villain. 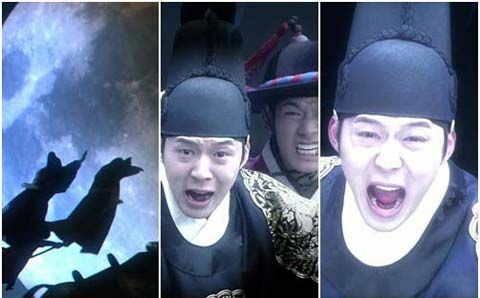 In “Rooftop Prince”, the existence of Yong Tae Mu is gradually increased, gradually emitting the shine, causing the audience to show praises during the period. The relevant official of management agency of Lee Tae Sung, Glory MK Entertainment, said, “The director of ‘Rooftop Prince’, Shin Yoon Sub, also very admires the villain acting of Lee Tae Sung, very satisfying, and always praises him. With the progress of the plot, Yong Tae Mu will become even more vicious and bad for the sake of ambition.” The words leave suspense. Making the actor Lee Tae Sung with mature acting that people fixes eyes on. 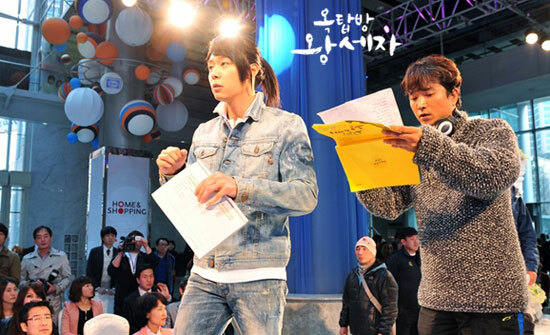 The future episode of “Rooftop Prince” which can make people go insane is attracting audience’s attention.